I am the first in my own social network to admit that I know almost next to nothing about the intricacies of the metal genre of music. Between that and the country genre, I feel the most out of place listening and sharing my thoughts on that subject. But life is supposed to be about stepping outside of your comfort zone and doing that which makes you the most afraid, or else you would live in fear and never see anything of the world than what you already know. Dream Theater is an American progressive metal band which has been active since 1985, by founding members John Petrucci, John Myung and Mike Portnoy. 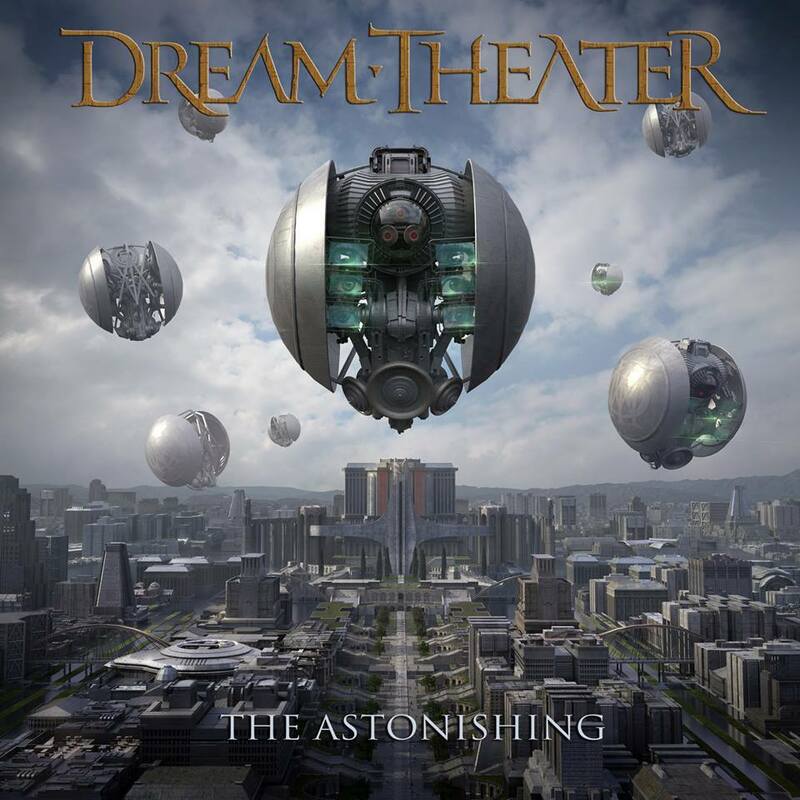 They are well known in the metal community for their technical ability and ability to put together well crafted records – And that is why I’m glad I picked up Dream Theater’s The Astonishing. Who would have thought that metal music could be so intricate and willing to explore concepts that we rarely see in other realms of the industry. Well, if you asked my girlfriend, my Cross Talk co-host, or anybody who has been listening to the genre since it’s inception in the early 1970s, then they would say, duh obviously timotheories. Dream Theater’s thirteenth studio release is lauded by other critics as an excellent portrayal of how music can represent characters and the development of a story. This might be naive on my part, but all the while listening to the record, I couldn’t help but think of stories like Peter and the Wolf, Star Wars, Dune, and Game of Thrones. And after spending more time than I can count listening to Star Wars The Force Awakens theories recent;y, I’ve come to accept the King Arthur influencetial elements in both The Astonishing and The Force Awakens. Guitarist John Petrucci has written a double-disc sci-fi rock opera, set in a dystopian future in an invented country (the package contains maps). In it, music created and/or performed by humans has been outlawed by the state. Only government-sanctioned and programmed machines are entrusted with those functions. A small band of rebels cling to and fight for the vision (and redemption) of human music. This kind of story is something that a self-proclaimed geek can get behind, and it helps to digest the prog-metal, pro-rock, and operatic elements of the album. It’s difficult for me to speak about the evolution of the band, but if you compare these two clips, the first from their earlier days, and the second from this album, you can pretty obviously tell that Dream Theater has made a conscious effort to try something new here, and it’s pretty damn cool two-and-a-half hour ride. I’ve already linked to it above, but The Gift of Music was particularly fun to listen to. Also check out Ravenskill, A Tempting Offer, and Astonishing. I’ve said it before, but if sophistication and obsession over craft are hallmarks of good music then Dream Theater has it in spades, now unfortunately this isn’t exactly my cup of tea, so it’s somewhat difficult to gauge how this album fares against its brethren. Regardless, I stepped out of my comfort zone and sampled a band that has reminded me just how refreshing a rock opera can be. At the end of the day, its up to you to decide whether to buy this album, but I suggest you give it a listen at the very least. And that’s it for today’s Melodic Monday entry! I’ll see you dear readers tomorrow with a movie review!